A “top tubist” is among the Cleburne middle school students who will be featured in concert Saturday as members of the Texas Music Educators Association All-Region Band. Smith Middle School’s Melissa Griffin and Emily Day-flutes; George Alazar-bassoon; Alonzo Gonzales-trumpet, Ethan Walker-trombone and Wheat Middle School tubist Preston Barfield will be among the seventh and eighth grade musicians from Region 30 performing at Weatherford High School at 2 p.m.
Barfield, a seventh grader in Wheat’s Wind Ensemble, was awarded second chair in the tuba section of the All-Region Band. Close to 1,300 middle school students were involved in the annual audition process for selection for the honor band. In addition to the opportunity to perform in concert with peers from across north Texas, All-Region honorees will spend Friday working with clinicians on their musical and performing skills. Barfield said when he went through auditions for the Wheat band program at the end of fifth grade, he was interested in playing a brass instrument. 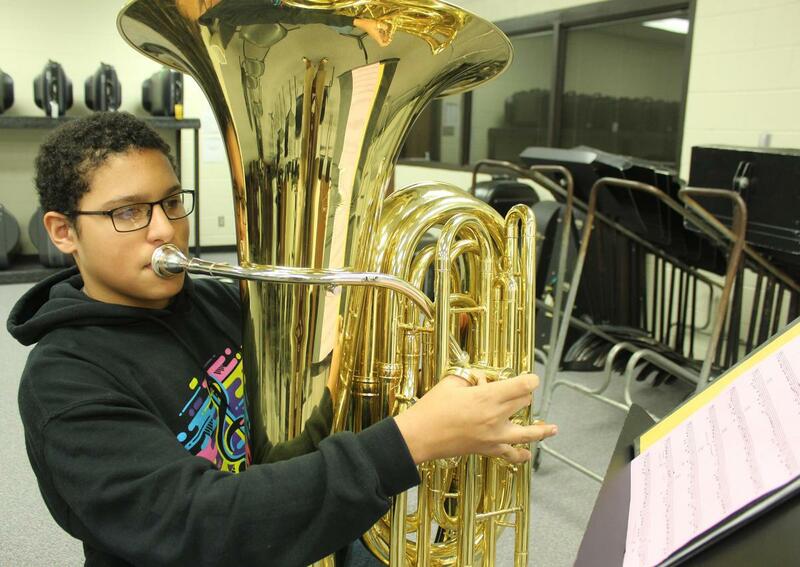 Barfield is the only seventh grader in the three-member tuba section of the Wheat Wind Ensemble. Barfield is very pleased to be among those selected for the All-Region Band. 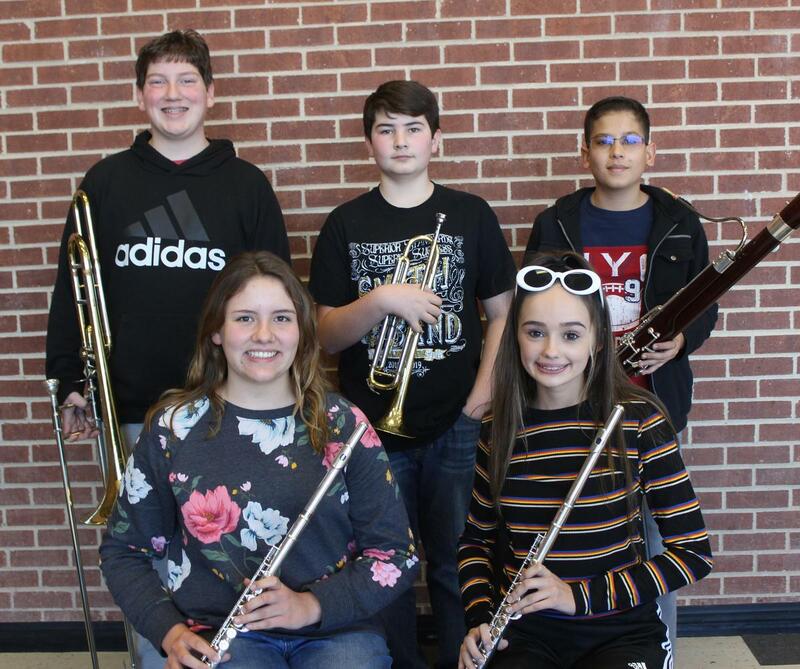 He is also among 33 Wheat and Smith students named to the new invitational Honor Band involving students from Cleburne, Brewer, Crowley, Granbury, Joshua and Weatherford middle schools. Students submitted audition tapes from which judges made selections for the Honor Band recognition. The process provided students with an introductory experience preceding All-Region tryouts, in which each individual musician plays selected music before an adjudicator. The 13-year-old plans to continue with his music in high school as a member of the Golden Pride tuba line. He would also like to keep on with the tuba into college. His thoughts regarding a career, at this point, include musician and physician, reflecting his interest in science. There are actually two musicians in the Barfield home, as Preston’s sixth grade sister, Angelina, plays percussion in the WMS Beginning Band. While Barfield has worked hard for his music honors, he makes it clear those achievements wouldn’t have happened without his teachers. Cleburne High School musicians are currently involved in auditions for the Ninth Grade and All-Region Bands, in the first round of the TMEA All-State Band process. All-Region honorees, including those advancing to Area auditions, will be announced December 15. 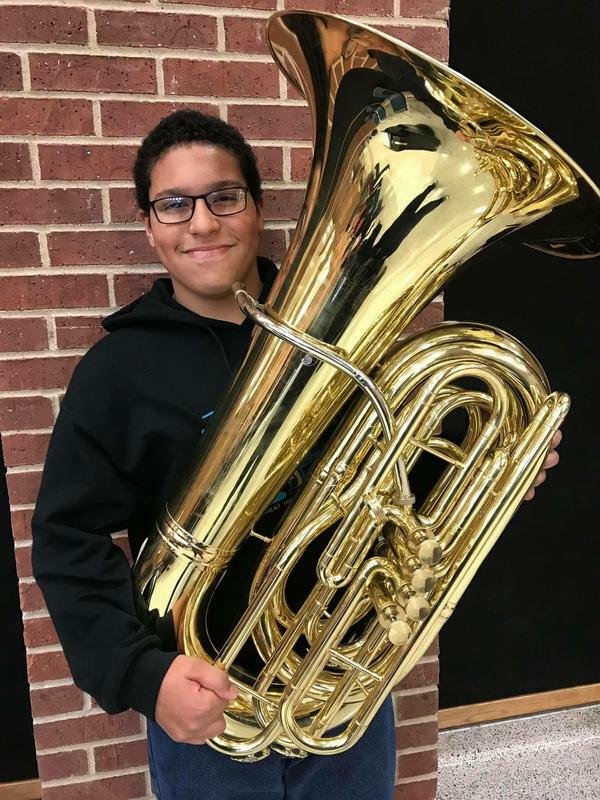 Wheat Middle School seventh grader Preston Barfield was awarded second chair tuba following auditions for the All-Region Band. Close to 1,300 students from across Region 30 participated in the annual tryouts sponsored by the Texas Music Educators Association. 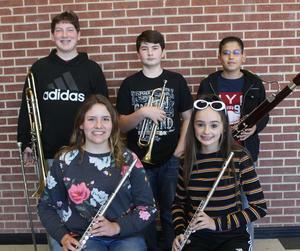 These Smith Middle School musicians will be among those performing in concert Saturday at Weatherford High School as members of the All-Region Band. Pictured seated, l-r, Melissa Griffin, Emily Day and back from left, Ethan Walker, Alonzo Gonzales and George Alazar.